26You are all children of God through faith in Christ Jesus. 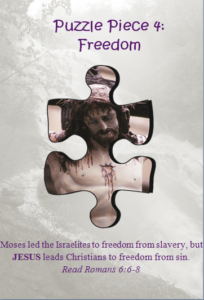 28There is no longer Jew or Gentile, slave or free, male and female. You are all one in Christ Jesus. 29And now that you belong to Christ, you are the true children of Abraham. You are his heirs, and God’s promise to Abraham belongs to you. 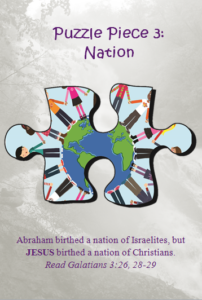 Abraham birthed a NATION of Israelites. 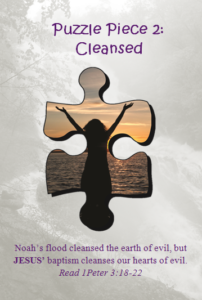 About 400 years after the flood, God made a covenant with Abram, a descendant Noah’s son Shem, to give him an earthly inheritance of land, abundant descendants and blessings. God renamed Abram to Abraham which means “father of many nations” although he and his barren wife Sarai (Sarah) were still childless. When Sarah was 90 and Abraham was 100, Sarah gave birth to their only son Isaac. Isaac and Rebekah’s son Jacob, whose name was changed to Israel, had 12 sons who became the 12 Tribes of Israel. JESUS birthed a NATION of Christians. Jesus, the Christ, is a physical descendant of Abraham’s great-grandson, Judah, but He is also the physical representation of God. 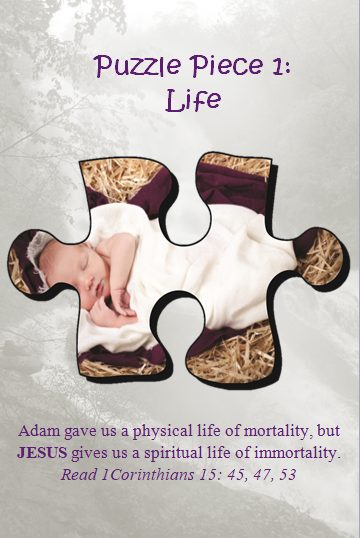 Through Jesus, God’s only Son, God made a promise of a heavenly inheritance and blessings to ALL people, not just physical descendants of Abraham. Citizenship in the nation of Christians is based on spiritual birth through faith (aka born again). Everyone who accepts Jesus as their Lord and Savior is considered born into the family of Christ and therefore, heirs of the promise made to Abraham as well as heavenly heirs with Christ. The first Christians were the 12 Disciples who spread the good news that everyone can be blessed because of the death and resurrection of Jesus, the Christ. Today there are more than 2 billion Christians! Become a citizen of the heavenly NATION of Christians and receive both the earthly blessings promised to Abraham as well as the abundant life Jesus died to give you!